We are an authorize.net reseller, and as a certified solution provider, you may sign up as a client of WP EasyCart by clicking here! 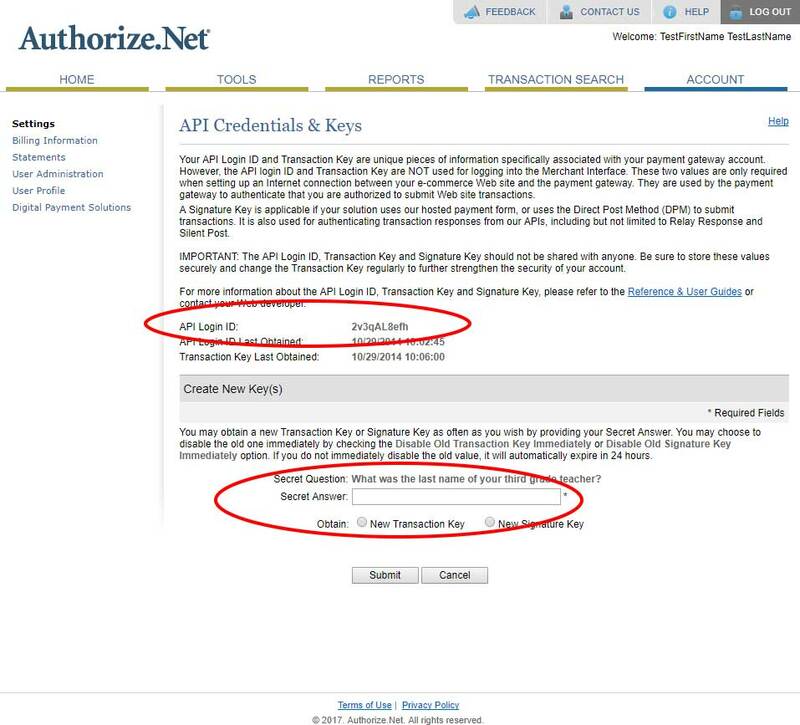 To access authorize.net credentials for the API, go to the settings menu found within your authorize.net control panel. 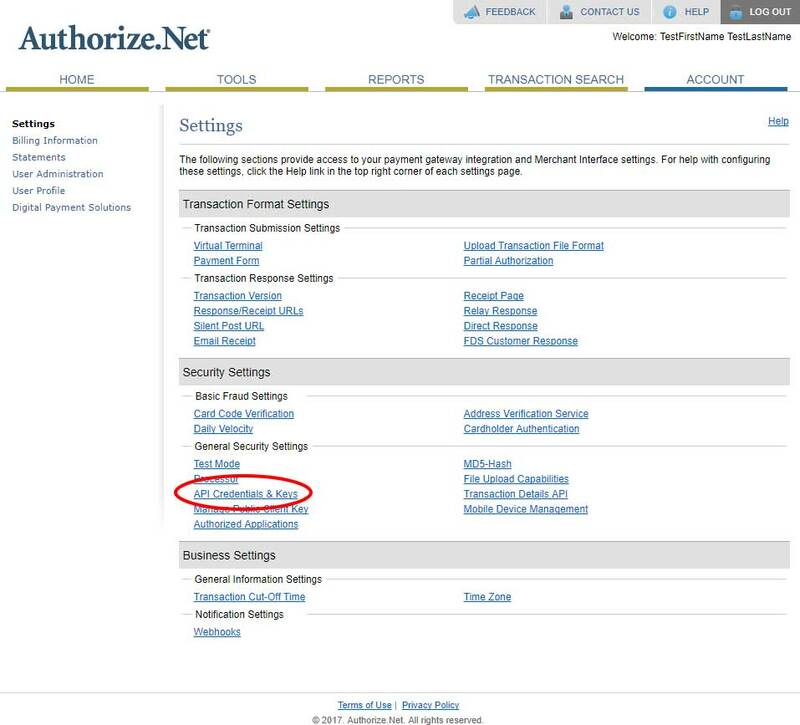 Note: If you plan to test transactions, you must have authorize.net AND WP EasyCart in test mode. Developer accounts are special accounts and most users will not have these types of accounts. Be sure to check that both accounts are live as well when ready to go live. Next, you will open the API credentials and Key section. You will be able to view your API login ID, but you must generate a new API transaction key each time you come to this area. 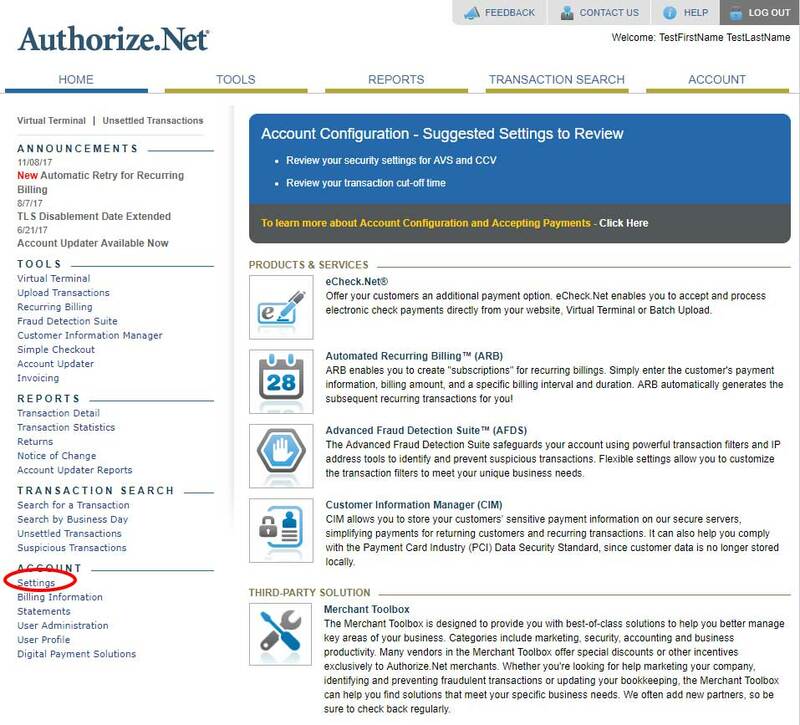 Once you obtain both, simply enter into the WP EasyCart Authroize.net section.